A 24-year-old woman who died of a drugs overdose in her friend’s house was in the early stages of pregnancy, a court has heard. Details surrounding the death of the young woman emerged as a 45-year-old woman appeared in court, charged with being concerned in the supply of drugs which ultimately led to her demise in September 2017. Michelle Gill-Hamner, from Chapel Hill Mews in Lisburn, appeared at Belfast Crown Court where she admitted being concerned in the supply of class A diamorphine, and also being concerned in the supply of class C diazepam, on September 14, 2017. The drug addict – who the court heard used heroin up to seven times a day – will be sentenced for the two offences next month. 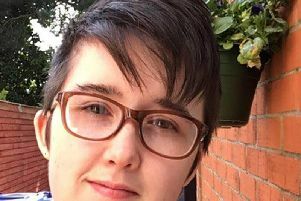 As relatives of the deceased sat in the public gallery, prosecuting barrister Kate McKay said a post-mortem was carried out and revealed she was several weeks pregnant when she died. Her lifeless body was found in a bedroom in Gill-Hamner’s then-flat on Dunluce Avenue on the evening of September 15, 2017. Ms McKay said the emergency services arrived at the flat around 7.35pm after a 999 call was made by Gill-Hamner. The young woman’s body was found lying on the floor in a bedroom, and was displaying signs of rigor mortis. Gill-Hamner made a number of comments to police at the scene, and said the deceased was a friend who had been staying with her. Gill-Hamner said she had lent her friend money to buy drugs, that they had taken diazepam and pregabalin together as well as drinking alcohol, and that her friend had a bag of heroin and had gone into the bedroom to inject the drug. Gill-Hamner also said she went to bed in the early hours, woke at 7.30pm that evening and had gone to speak to her friend, but found her lying on the bedroom floor, cold and unresponsive. The Crown barrister said that after a post-mortem was conducted on the 24-year-old, her cause of death was attributed to the intoxicating effects of heroin, diazepam and pregabalin. The autopsy also showed two needle puncture marks on the young woman’s arm, as well as her pregnancy. Gill-Hamner was arrested and interviewed on three separate occasions. While she answered ‘no comment’ to some questions, Gill-Hamner told police she lent her friend money to buy the drugs, but said “I didn’t make her buy the drugs and I didn’t make her take the drugs”. Ms McKay said that while the young woman’s death was “not believed to be as a result of anything Ms Gill-Hamner did personally, it is accepted by her that she supplied the drugs, in that she supplied the money, and that the death of the young woman was a result of the drugs she was supplied with”. Defence barrister Michael Boyd cited what occurred as a “desperately sad case involving the lives of two vulnerable females – one very young and whose life has been ended by the use of heroin, and an older woman whose life has been ruined by heroin use for many years”. Describing Gill-Hamner as “a lady who has not had her troubles to seek”, Mr Boyd set out a childhood spent in care and foster homes. Regarding Gill-Hamner’s drug use, Mr Boyd revealed that at one stage she was using heroin seven times a day, but has now reduced this to just once daily. Mr Boyd said his client accepted lending her friend money to buy drugs, and the “tragic consequences of her actions” which flowed, but said she was now seeking help to try and tackle her drug addictions. After listening to submissions from both the Crown and defence, Judge Paul Ramsey QC said he wanted time to reflect on material linked to the case, including victim impact statements from a brother and sister of the deceased. He told Gill-Hamner to return to Belfast Crown Court on May 17 for sentencing.